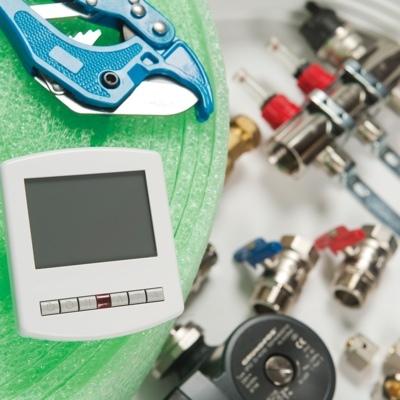 Using a wide range of wired and radio controlled systems, including app enabled technology, means that room temperatures can be individually controlled, allowing for maximum flexibility, whilst increasing the energy efficiency of the building. UFH is suitable for a wide range of floor constructions, on both ground and upper floors. 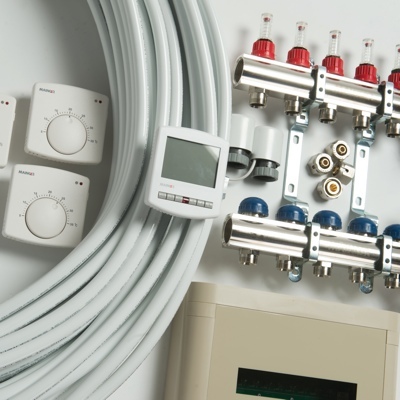 Using Maincor controls, manifolds, 12mm, 16mm or 20mm pipes and accessories, it is simple to create individual heating systems with the comfort required. UFH can be easily combined with radiator systems for extensions and conservatories, or to create a mixed heating system offering radiators on upper floors if required. When using MLCP there are no joints within the building fabric which reduces the chance of leakage and gives fast and easy installation. 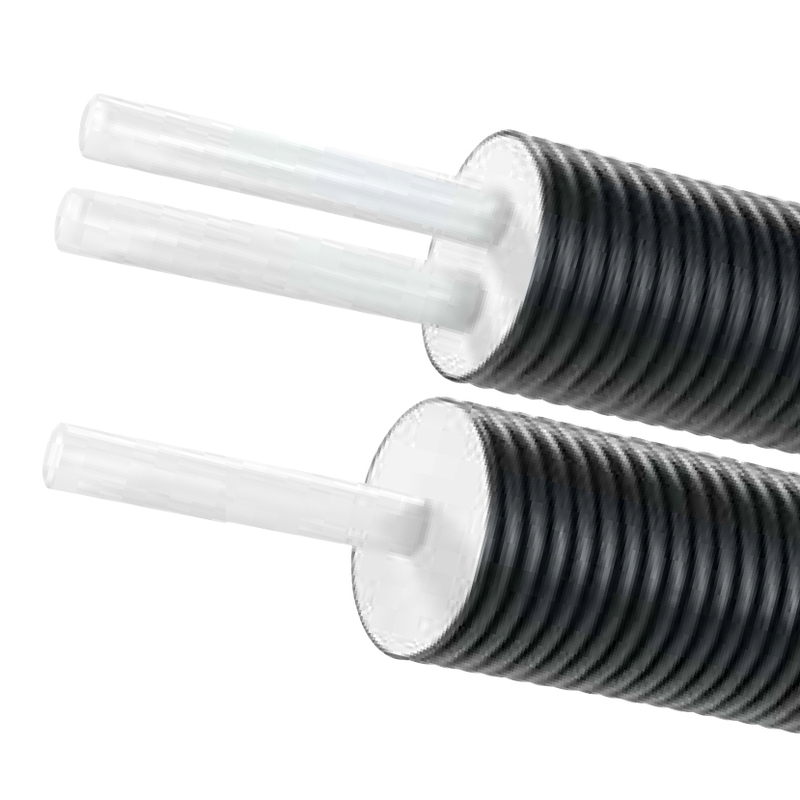 Available in sizes 12 - 63mm (in coils up to 32mm and straight lengths from 16-63mm). 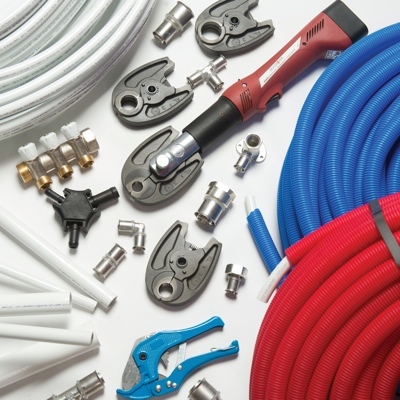 A wide range of press and compression fittings are available to create branch plumbing systems if required. Radiator manifold systems offer simple radiator isolation, minimising disruption to the occupants during maintenance periods. 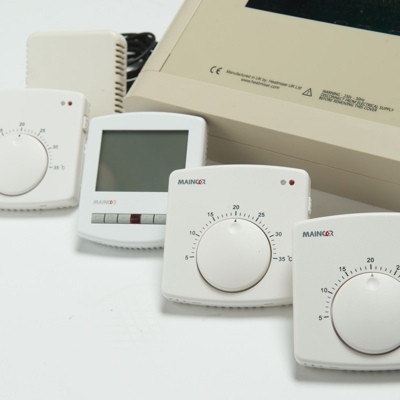 The Maincor range of system controls allows for improved comfort levels for building occupants and increased energy efficiency saving money for the building owner or tenants.Individual appliance isolation is ideal for commercial applications such as schools or hotels, where it is important to be able to carry out maintenance in parts of the building whilst keeping the majority of the building operational. Whilst providing efficient transfer of hot and cold water between buildings, pre-insulated pipes are especially suited for the transfer of hot water from heat pump or biomass systems or from district heating.